Various styling tools accumulate and fill your room is certainly very disturbing. You have a hard time storing it, not to mention the hassles you experience when dealing with cables that stick everywhere. 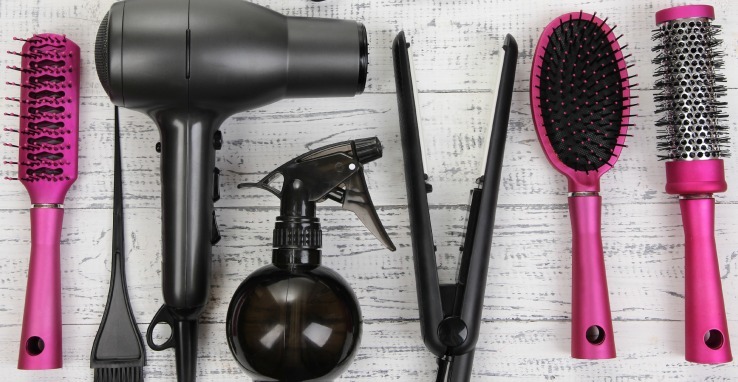 In fact, you only need the right styling tool for your hair, without the need to buy a lot of other equipment. You should try the Steam Flat irons for the best flat iron for your hair. For those of you who own wavy hair, the right tool to have is the flat iron. Let the hair dry by itself if you want to get natural results instead of using a hairdryer. If you want to get a clearer wavy effect, you can use the flat iron as a curling iron. The owner of straight hair is better to choose a curling iron. To arrange your hair to look light wavy, you simply choose a large curling iron. However, if you prefer a tight curly hairstyle, you should choose a small curling iron. Instead of using the flat iron to make straight hair, you better use a curly serum. Blow dryer with diffuser is the best hot styling tool for women with curly hair. The tool allows your natural curls to look better, healthier and fresher. You can use it when your hair is still wet to confirm the loop. Complete with the use of a diffuser to make your curls look better. However, if you want to get hair that looks more straighten, choose a blow dryer with a paddle brush.